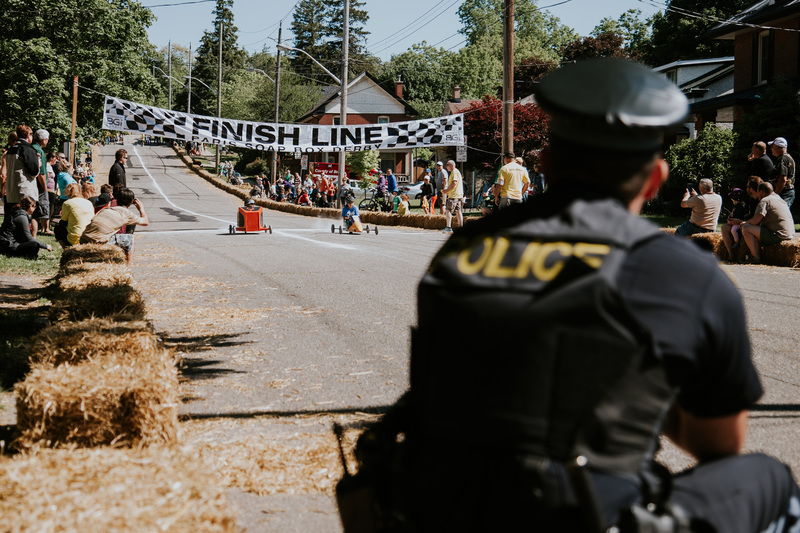 This past weekend, the first in June, was one of the busiest of the year in Paris. 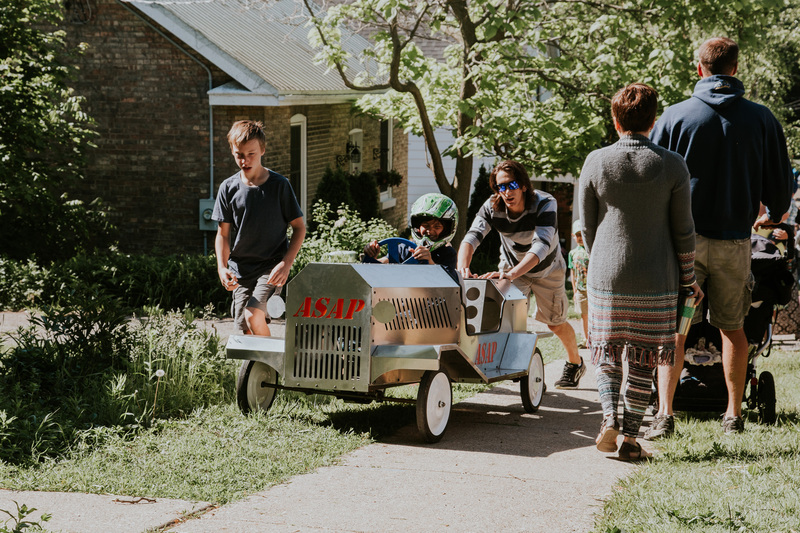 With Springtime in Paris drawing thousands of visitors out to its events, various people capitalize on the buzz, organizing everything from the Craft Show and the Garden Tour to family yard sales. 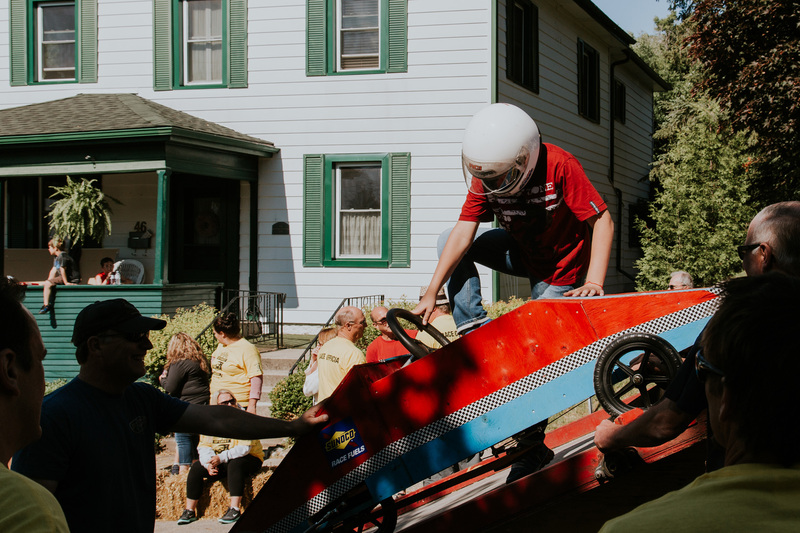 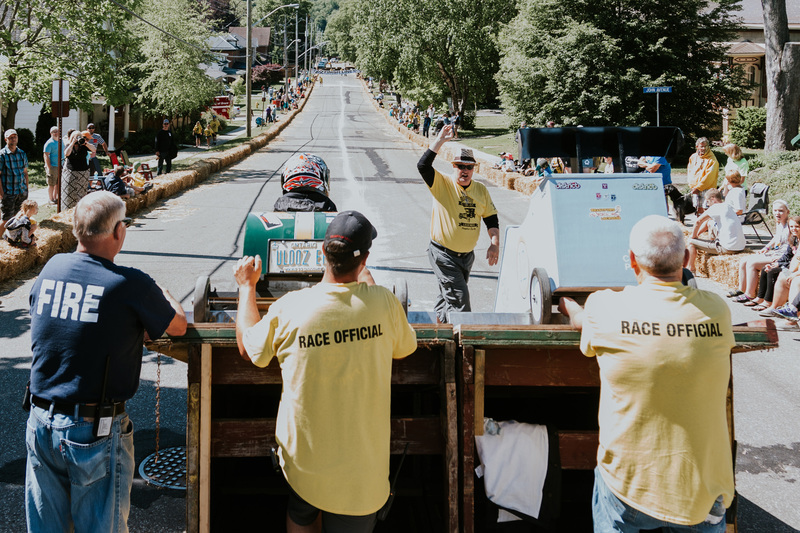 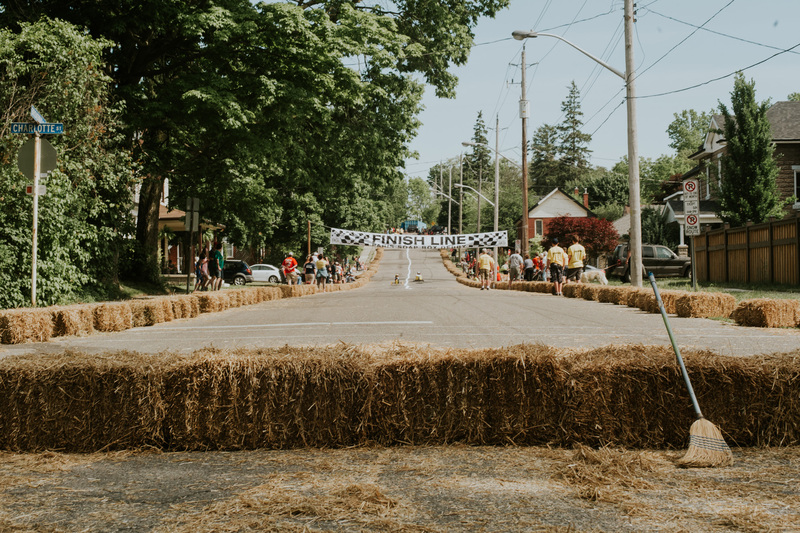 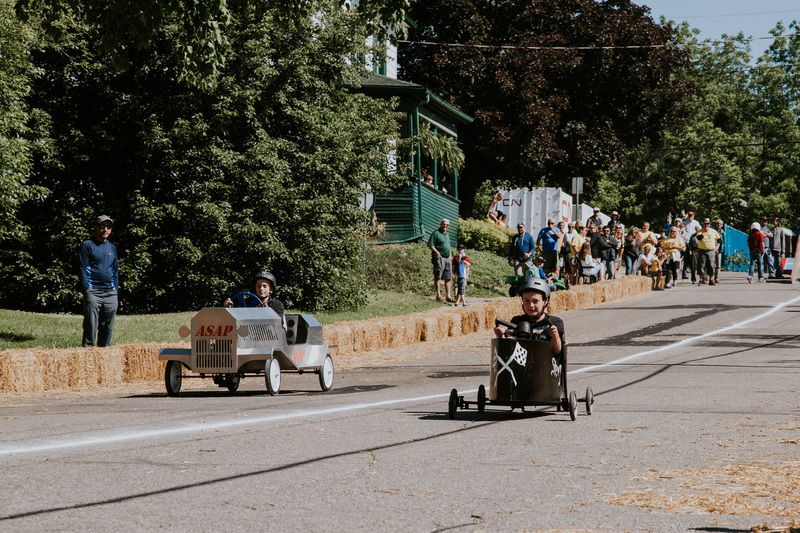 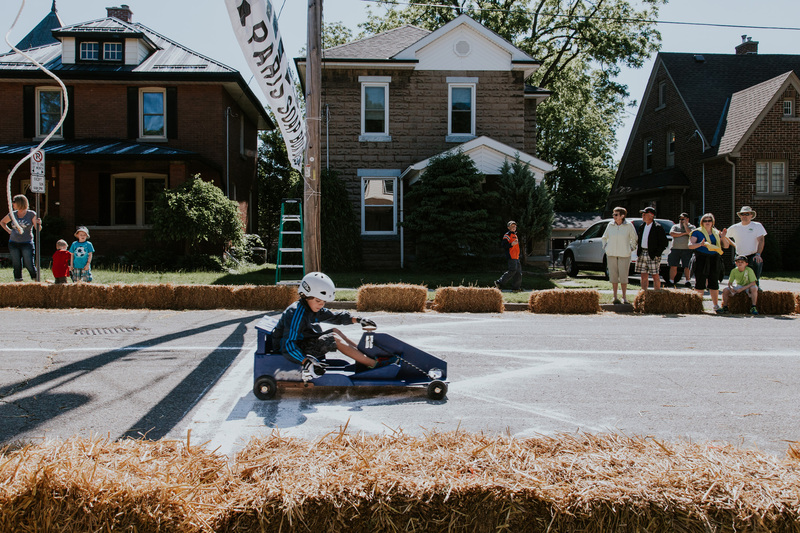 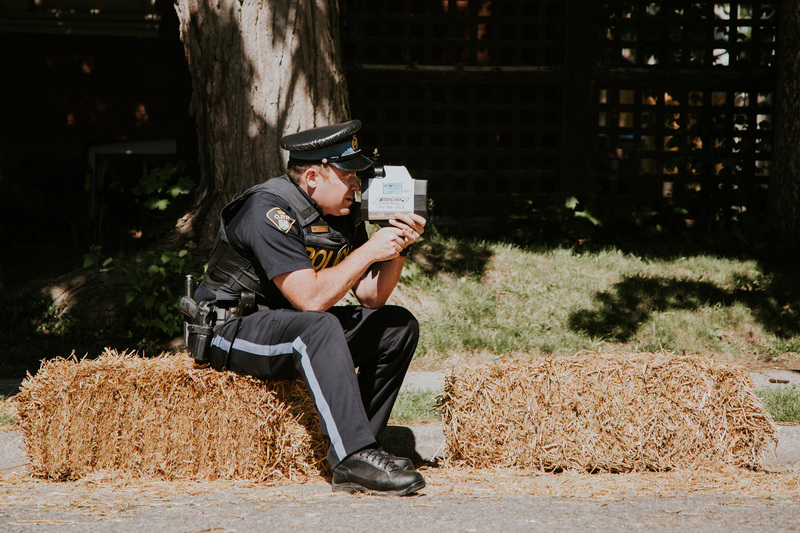 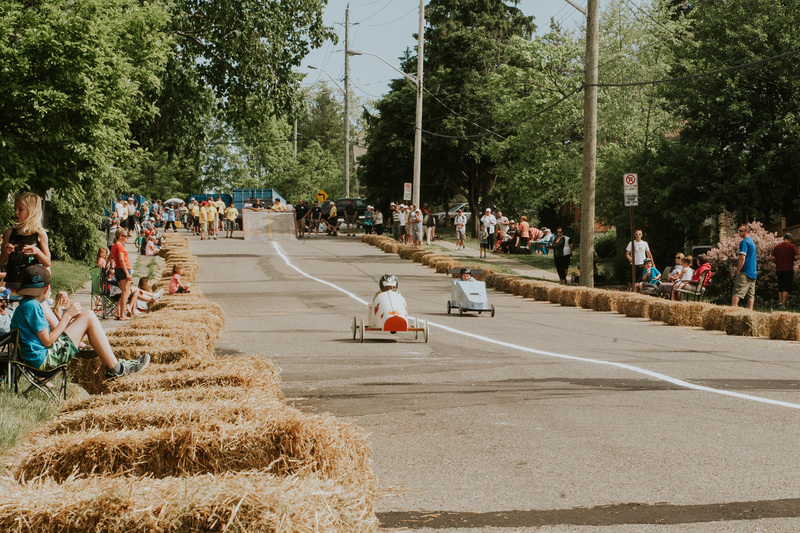 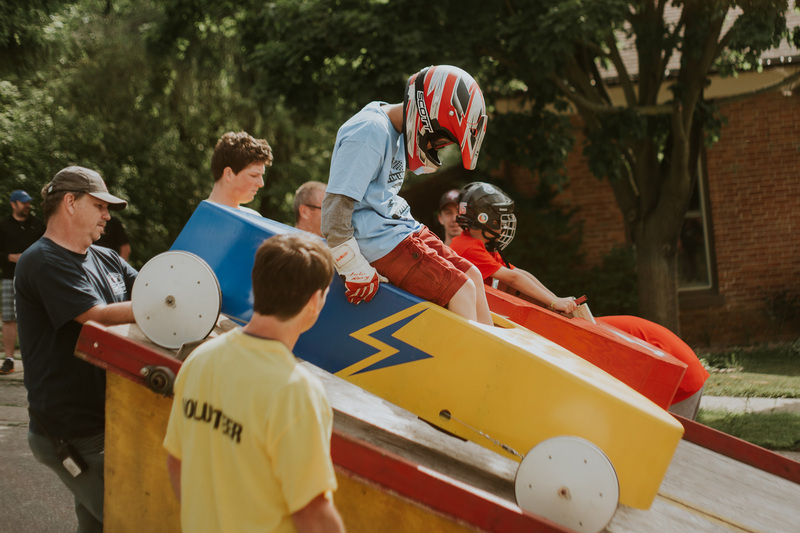 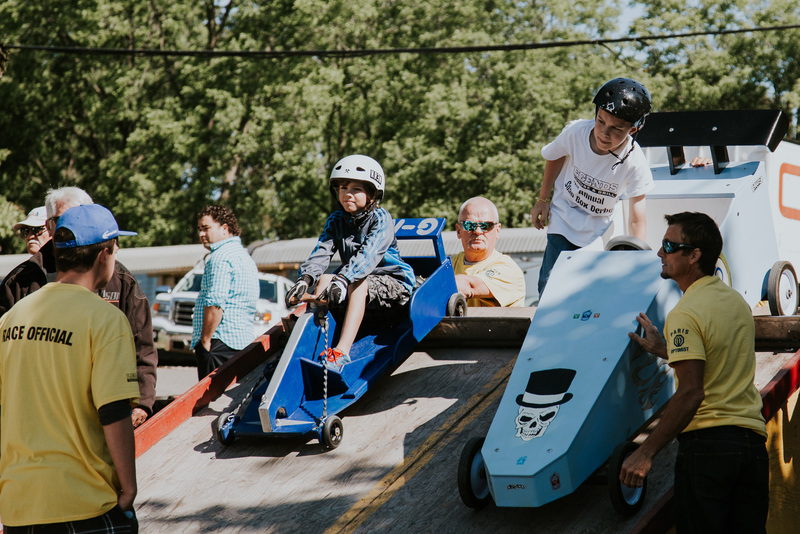 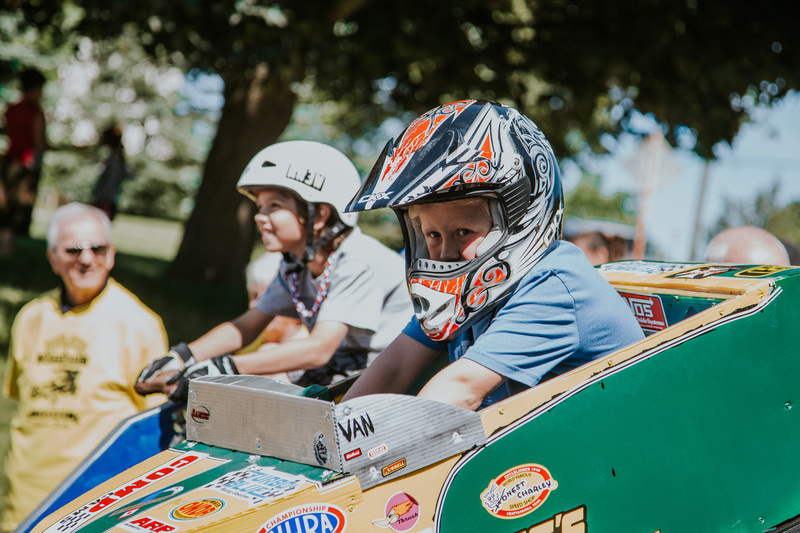 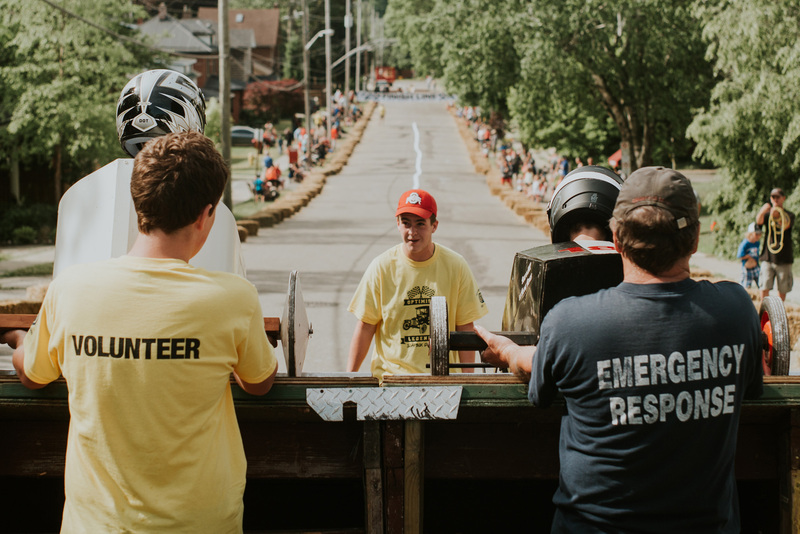 Our standing favourite of the weekend though is the annual Soap Box Derby, a magical event that kicks off the festival and makes everyone in the crowd feel like children again. 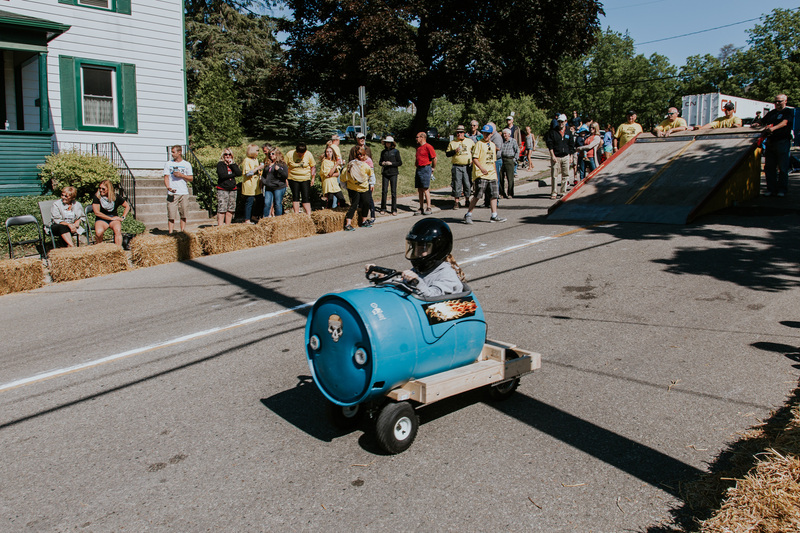 Last year was our first Soap Box Derby. 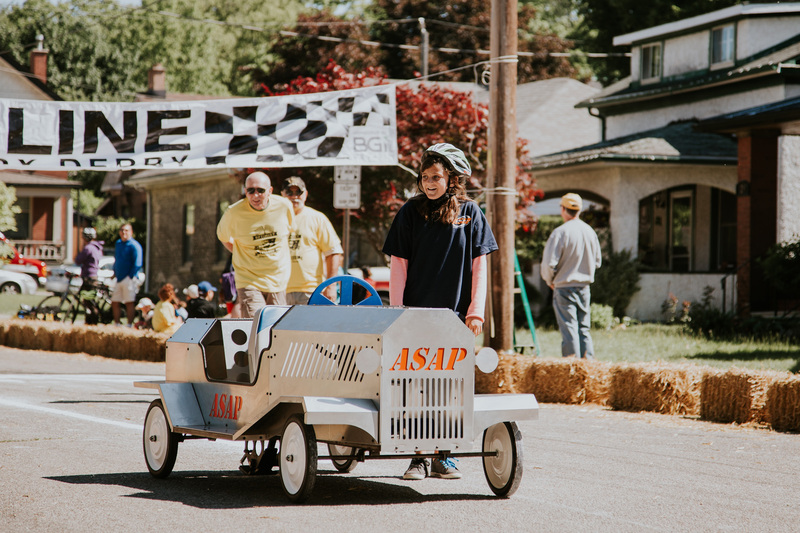 Even though soapbox derbies serve up a real slice of Americana (the derbies first began in Ohio in the 1930s), Cassie has never seen one back home and our only experience of them so far has been in the movies. 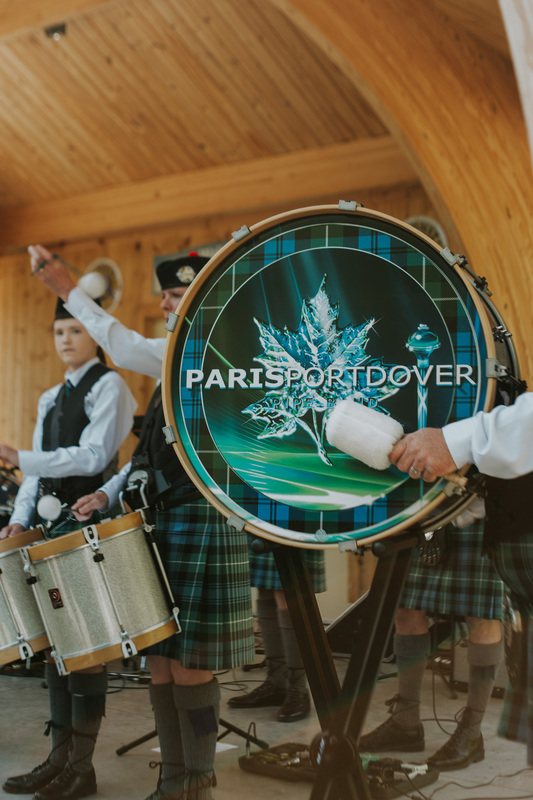 We were incredibly charmed to find a real life one here in Paris. 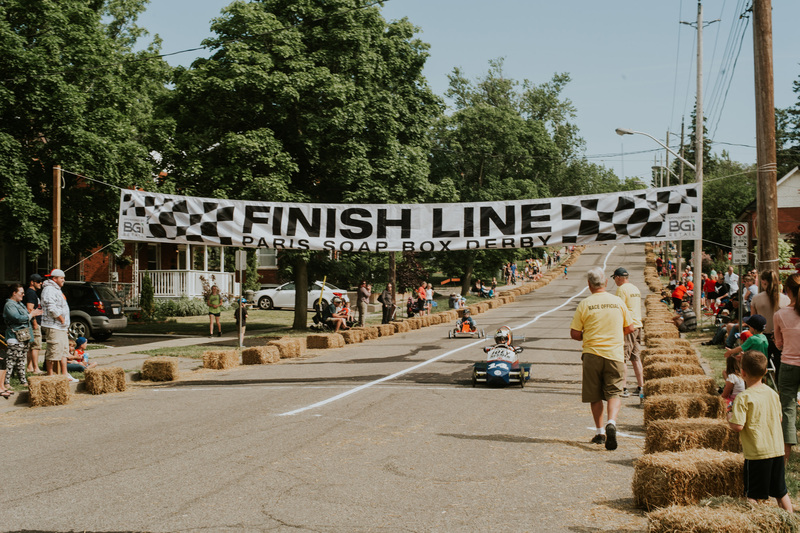 2016 marked the Paris Optimist Legends Boys and Girls’ 5th annual derby, but it feels like an event that has been happening for decades. 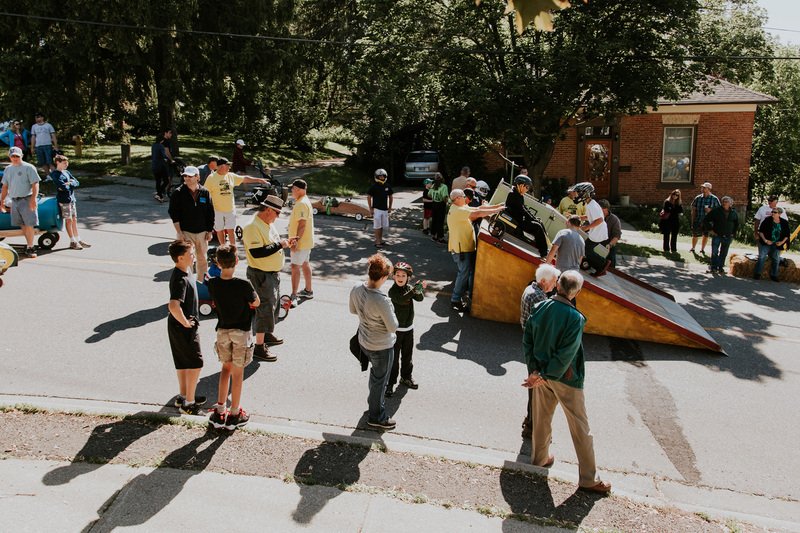 It draws community together – at each event we see dozens of people we know from around town. 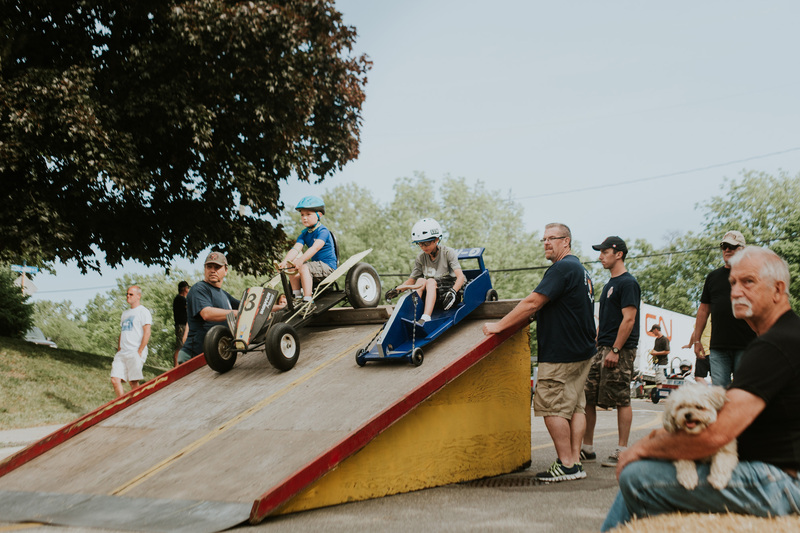 Children and their parents line up at the starting ramp, nervous about the steep incline, about whether they will win against their opponent, about whether or not their car will crash or spin out or make it all the way to the finish line. 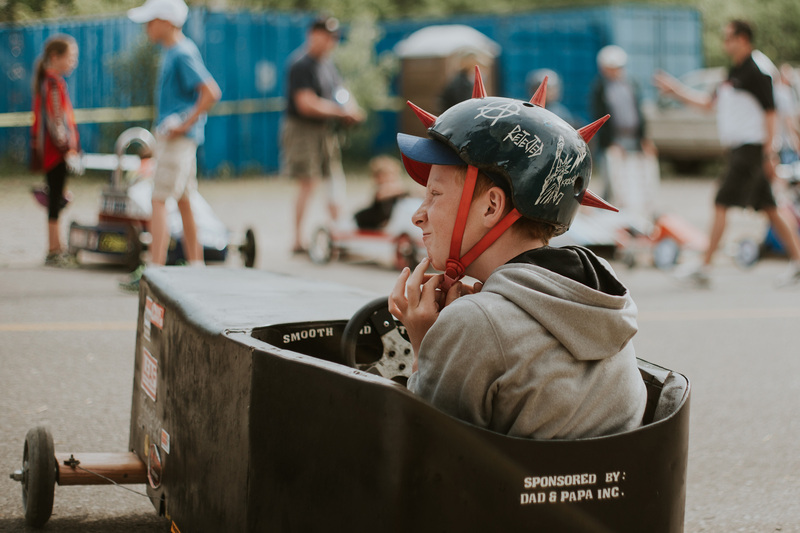 Participants express their creativity in their protective gear, the designs of their cars, and their racing style – some kids are loud and flamboyant, others are quiet and reflective. 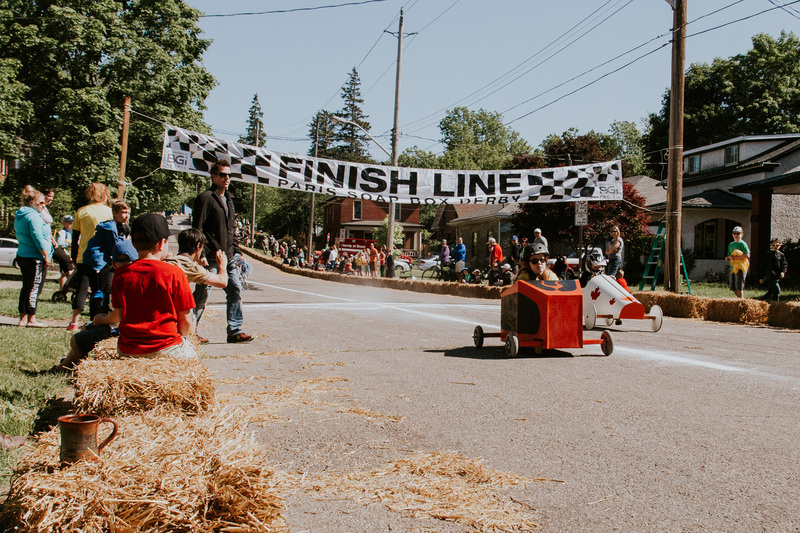 The cars themselves are incredible, DIY constructions from barrels, wood and tin with hand-painted lettering. 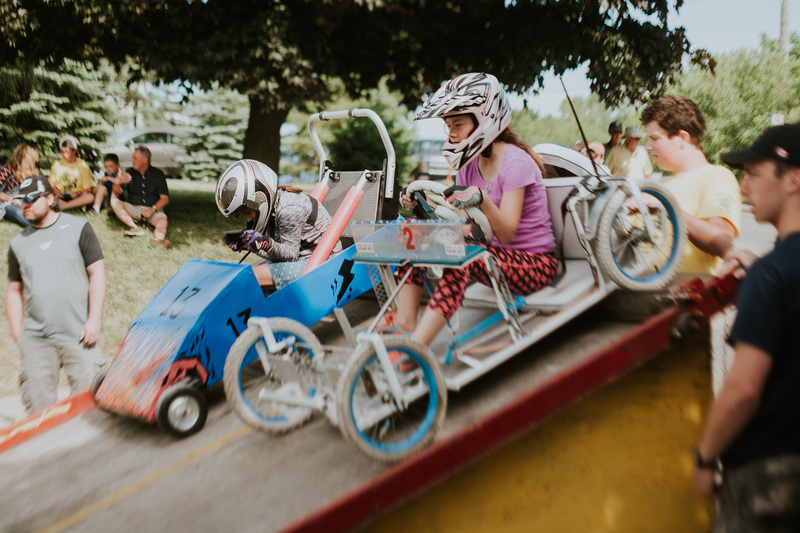 By nature the event facilitates learning about winning and losing, camaraderie, creative expression, mechanics and building, and the bonds between parents and children who spend time working together on something quite simple and innocent. 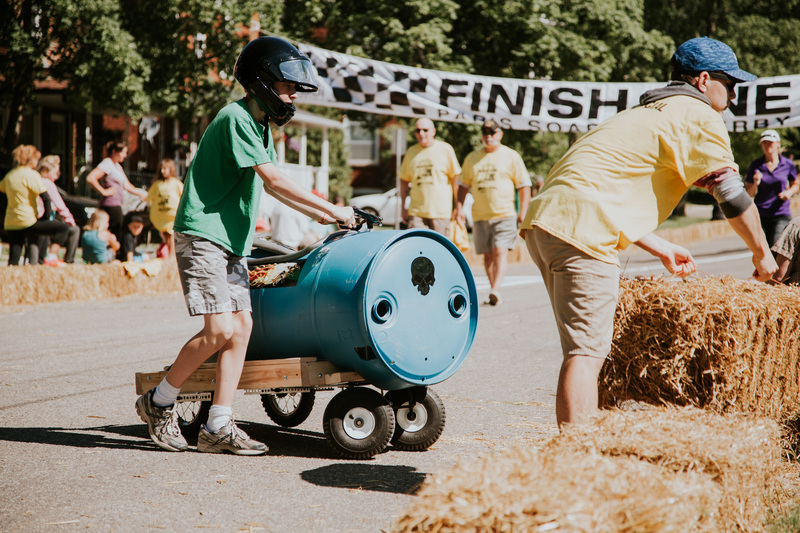 One kid crashed into a bale of hay just before the finish line and we heard him say to his dad, “I can’t believe I didn’t win,” as the crowd cheered him on anyway and several men helped pull his car to the side. 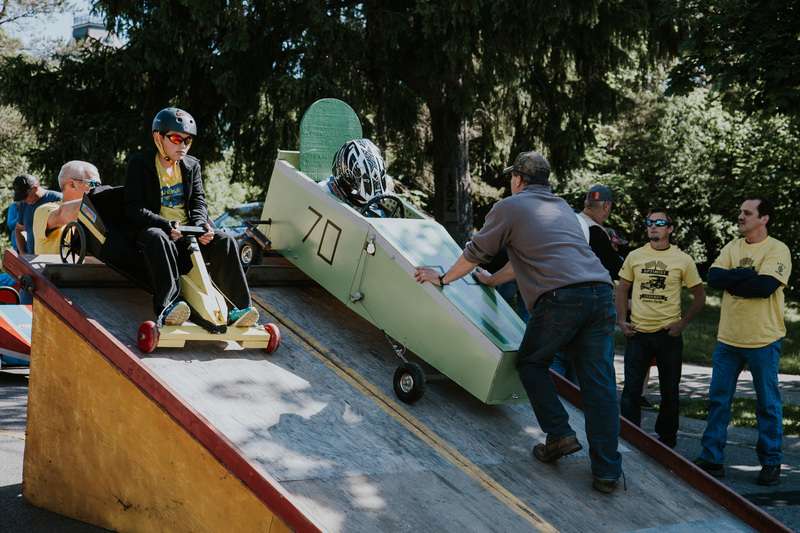 He took his car back up to the launch ramp and went again. 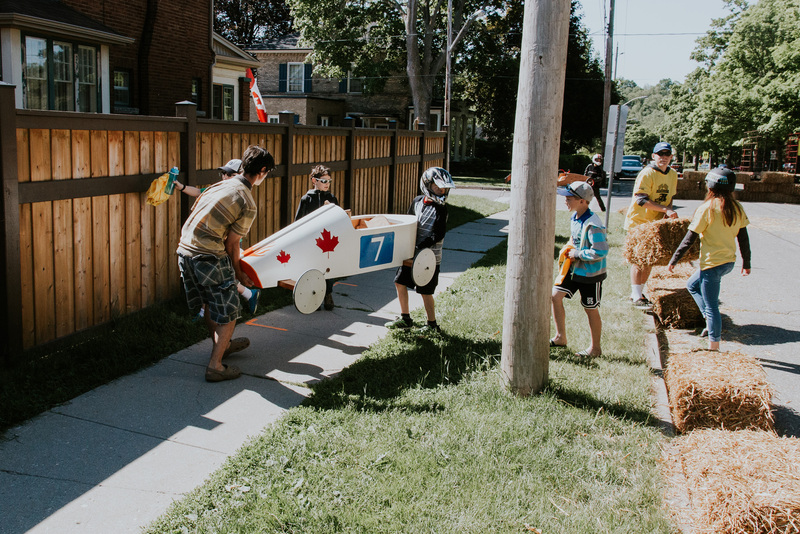 That lesson can’t be bought. 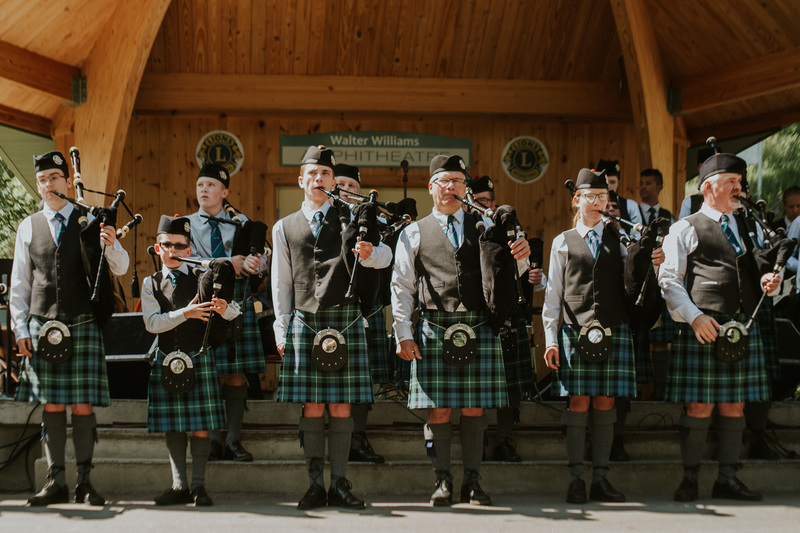 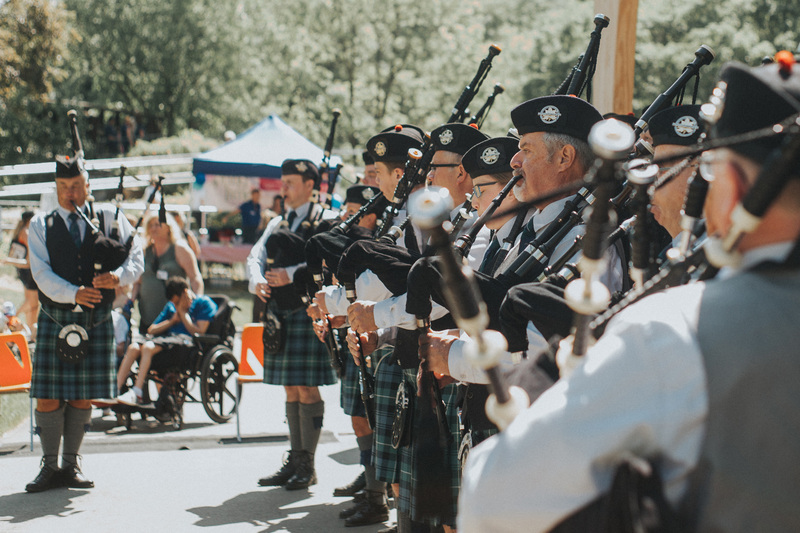 After the Derby we wandered over to Lion’s Park for the rest of the festivities and caught the tail end of the annual butterfly release and the start of the Paris Port Dover Pipe and Drum Band show. 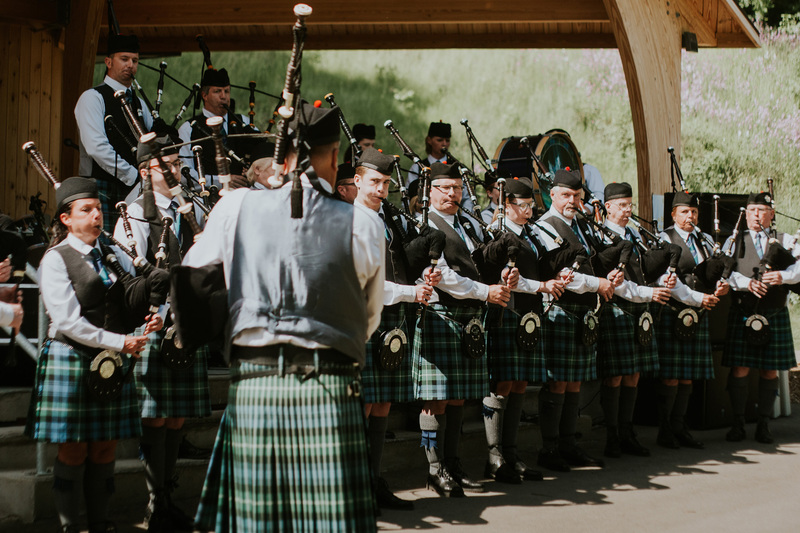 We’ve recently visited Caledonia (the old Latin name for Scotland) and started watching Outlander during the late nights with our new bairn, so the music was thematically fitting and awesome. 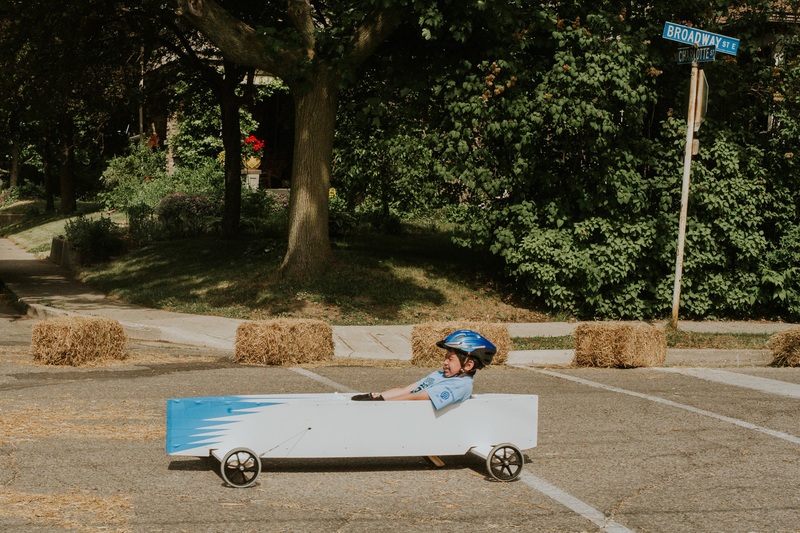 We’re still not sure if our daughters will participate in the Soap Box Derby in years to come (Mama Cass says helmets, elbow and knee pads are a must, and Mark says someone else will have to build the cars! 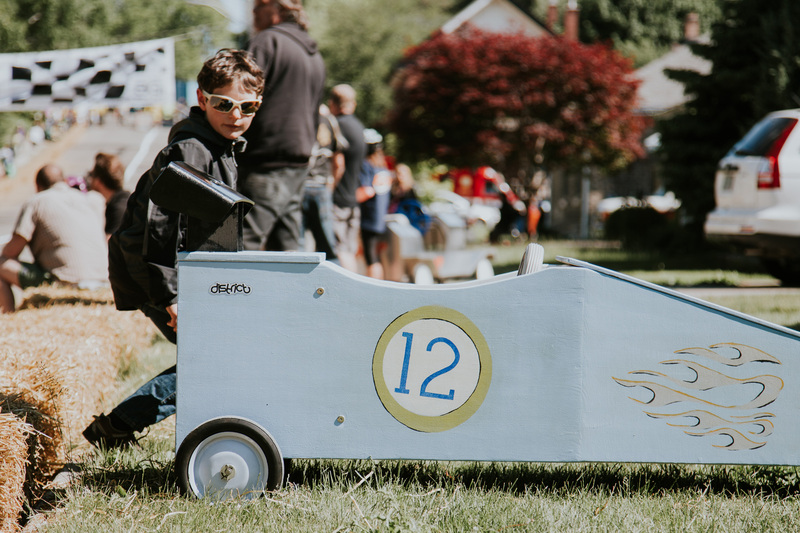 ), but we are already excited about next year’s race and car designs. 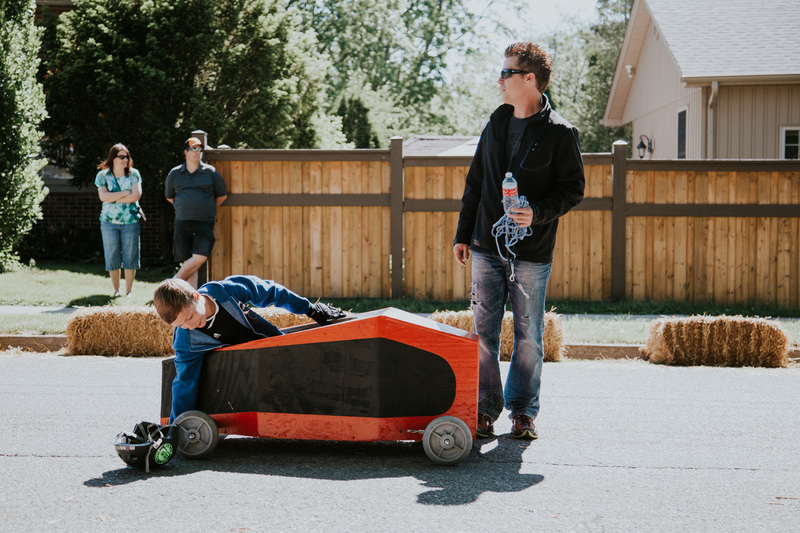 Hugest of congratulations to all the brave kids and parents who participated this year.